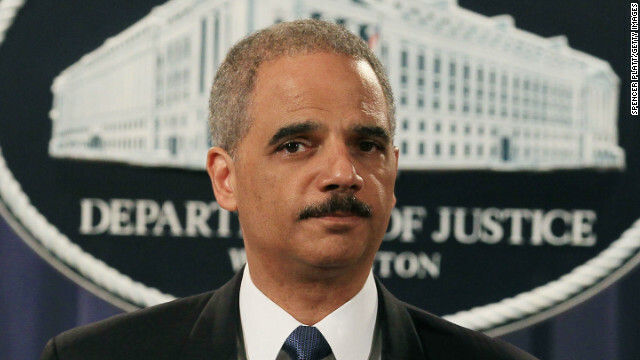 Attorney General Holder praised Schmaler in a written statement. "While I am sad to lose one of my closest and most trusted advisors, I am grateful to Tracy for her wise counsel, loyalty, good humor and unwavering support of me and the Justice Department over the last four years," Holder said. Schmaler had no personal comment on why she was departing now. She has been a target of conservative critics who decried her cozy relationship with liberal blogs and publications who share her decidedly liberal views. Schmaler spent months last year protecting Holder and other top Justice officials from Republican attacks on the Bureau of Alcohol, Tobacco, Firearms and Explosives' failed sting operation "Fast and Furious." Holder weathered that storm - though others lost their jobs - but has continued to be a magnet for GOP criticism on a range of other issues. Her statement said she will be joining Axelrod’s firm ASGK Public Strategies as the managing director and head of a new practice group focusing on crisis communications and issues management. Schmaler came to Washington from Vermont in 2003, and worked for four years as communications director for Sen. Patrick Leahy, chairman of the Senate Judiciary Committee. There was no immediate indication who would replace Schmaler at the Justice Department. Her current deputy is Nanda Chitre, a veteran of the Clinton White House. Out of 300 million people some one will do the job–nothing to worry. you have your choice for leaving, you made the right choice to go on to another step in life.